Like a magnet force, balloon animals attract kids. Controlled silliness is entertaining. The creativity impresses adults and years of entertaining experience ensure your Childs first birthday goes off without a hitch. Kid’s content, people laughing, family amused that your Childs 1st birthday party is simple when Magical Balloon-dude Dale is entertaining. 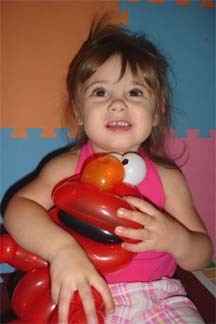 Customized balloons characters enhance your Childs birthday party theme and have guests talking about the small details. Knowing that the entertainment is in capable hands allows you the opportunity to socialize.